September 28, 2016 marked the 32nd anniversary of the California Wilderness Act, which was approved by Congress and signed by President Ronald Reagan in 1984. 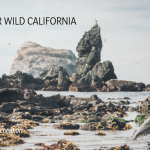 This landmark legislation protected more than three million acres of wilderness on federally managed public lands throughout the state and represents one of CalWild’s first major legislative achievements. It was also the culmination of more than ten years of work by wild lands and rivers activists and organizations throughout California. The seeds of this legislation germinated from the Forest Service’s attempt to conduct a comprehensive inventory of potential wilderness in 1977, which the agency called the Roadless Area Review Evaluation II (RARE II). This second evaluation was necessitated by a successful Sierra Club lawsuit challenging the agency’s initial evaluation in 1972. Although RARE II improved the scope of the evaluation (in terms of at least considering many areas left out of RARE I), the Forest Service’s decision making process in regard to recommending roadless areas for wilderness protection was deeply flawed. This led to litigation by the State of California, which slowed or stopped many timber sales and road building projects in potential wilderness areas. This situation led to support in Congress for a legislative solution that protected some areas as wilderness but also “released” others for potential future development. The California Wilderness Act protected about three million acres of wild lands from the remote forests of northern California to areas directly adjacent to some our largest cities in southern California. 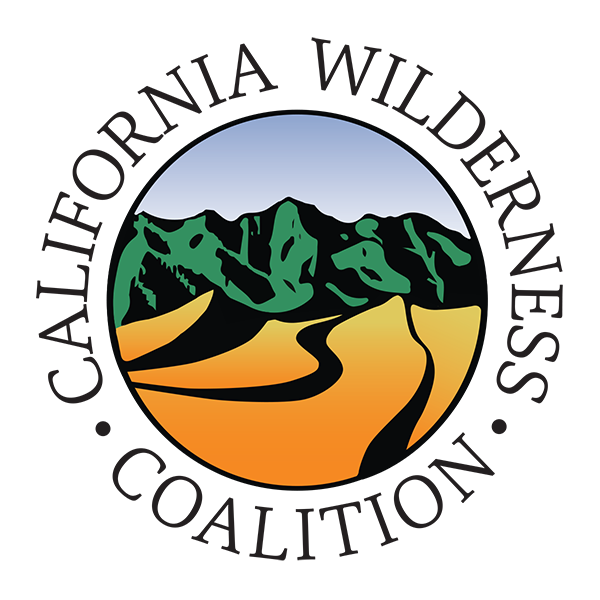 It protected high altitude alpine landscapes, foothill and coastal chaparral, and some desert mountains. 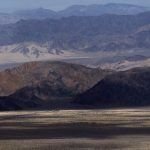 It included 26 new Wilderness areas on National Forests, major and minor additions to 13 existing Wilderness areas, and wilderness protection for much of the Yosemite and Sequoia-Kings Canyon National Parks backcountry. It also established the Mono Basin National Scenic Area and added the Tuolumne River to the National Wild & Scenic Rivers System. This unique 41,000-acre area in the Mount Lassen foothills on the Lassen National Forest is named after Ishi. His tribe, the Yahi Indians, formerly lived in the area before being decimated by cattle ranchers in the late 1800s. 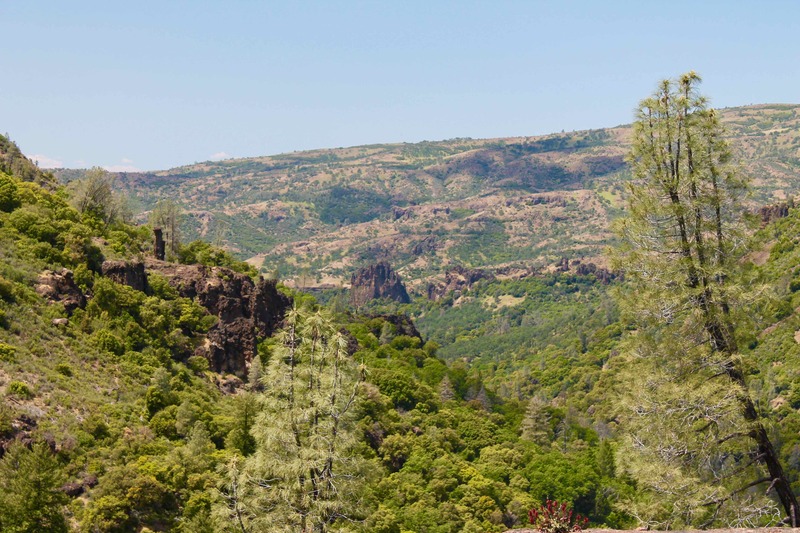 The Ishi Wilderness is cut by the rugged lava rimrock canyons of Deer and Mill Creeks. These creeks are a refuge for some of the last wild and native runs of spring chinook salmon and steelhead in the Sacramento Valley. The area also supports numerous raptors, wild horses, and one of the largest deer herds in the northern Sierra Nevada. 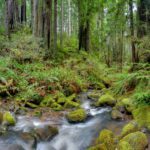 Due to its relatively low elevation (1,000-3,000 feet), the Ishi Wilderness is particularly beautiful in the spring but it can be visited year-round. Road access to the wilderness can be a challenge because Forest Service and county roads to this area have been poorly maintained over the last few decades. Spectacular in the spring, the Deer Creek Trail parallels more than seven miles of scenic Deer Creek in the Ishi Wilderness. 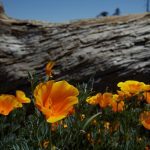 There are plenty of opportunities for camping, viewing wildflowers, exploring the rugged canyon and its lava rock formations, and appreciating the rich Native American heritage of the Ishi Wilderness. Although this trail exhibits little overall elevation gain/loss, it does climb and drop to avoid cliffs and other obstacles. The trail may also be overgrown in places with brush and poison oak. Trailhead Directions (Note: 4WD or high clearance vehicles required): Take the Cohassett Road exit from Highway 99 in Chico, proceed northeast on Cohassett Road out of Chico, up into the foothills, and through the small foothill community of Cohassett. The road eventually turns to improved dirt, but past the Tehama County line, it isn’t maintained much at all. At this point, 4WD or at least vehicles with high clearance and good mud and snow tires are required. Continue on the unmaintained Cohassesst Ridge Road (deep mud holes on this segment may be a problem in the winter/spring) to the concrete heliport at the end of the ridge, overlooking the Ishi Wilderness to the north and Mt. Lassen to the northeast. At this point, Cohassett Ridge Road becomes Forest Road 28N29 (a.k.a. Ponderosa Way) as it drops into Deer Creek Canyon. The road surface generally becomes rocky and in some places deeply gullied by erosion. About 1.5-2 miles from the heliport, turn left at an unmarked intersection to continue on 26N29/Ponderosa Way. The road continues to switch back its way down into the canyon through forests, past spectacular lava rock formations, and across at least two small stream crossings, approximately 7-8 miles to where the road crosses Deer Creek over a bridge. Continue another hundred yards to the small Deer Creek Trailhead parking area on the left. The Deer Creek Trail proceeds downstream into the Ishi Wilderness from the parking area. For the most recent road and trail conditions, contact the Forest Service’s Almanor Ranger District at (530) 258-2141. Before 1984, a big chunk of the Sierra Nevada between Ebbetts and Sonora Passes north of Yosemite Park was unprotected and open to development. The California Wilderness Act filled in this threatened link with the establishment of the more than 158,000-acre Carson-Iceberg Wilderness on the Stanislaus and Toiyabe National Forests. Encompassing a dramatic segment of the Sierra Nevada Crest and providing the water source of three mighty Sierra rivers (the Mokelumne, Stanislaus, and East Carson), the Carson-Iceberg is a beautiful area of high alpine peaks, mountain lakes, meadows, and forests. The optimum time to visit the Carson-Iceberg Wilderness is summer but you can squeeze in a hike or two before the snow flies. Asa Lake offers an easy, beautiful, and introductory hike into the Carson-Iceberg Wilderness. Follow the Gardner Meadow Trail past the trail intersection to Upper Gardner Meadow and through grassy expanse of Lower Gardner Meadow. About 2.5 miles from the trailhead, turn left on the Pacific Crest Trail and head north about ½ mile to pretty Asa Lake. 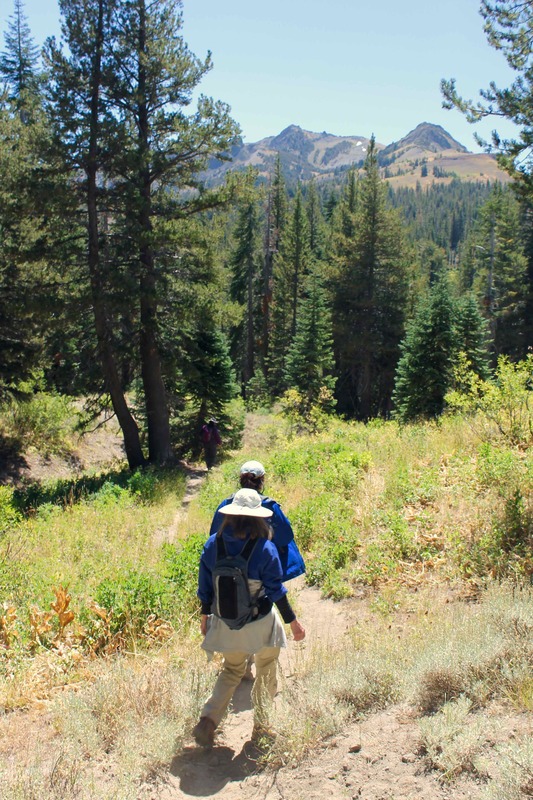 The trail makes its way through fir forests and over at least one saddle, and then across small and large scenic meadows with great views of the Sierra Crest’s 10,000 foot-high peaks to the south. The route goes up and down a bit on its way to Asa Lake but the lake and trailhead are essentially at the same 8,500 foot elevation. *This trail is inaccessible during the winter. Trailhead Directions: From the Gold Rush town of Angels Camp on Highway 49, take Highway 4 east towards Ebbetts Pass. Please note that the upper portion of this highway is not plowed and is typically closed in the winter due to snow. Shortly before reaching the pass on Highway 4, turn right on Highland Lakes Road and drive south 7-8 miles to the Upper Gardner Meadow Trailhead turn-off on the left. The trailhead parking area is about 100 yards off the main road just northeast of the first Highland Lake. For the most recent road and trail conditions, contact the Forest Service’s Summit Ranger District at (209) 965-3434. A rare chunk of wilderness surrounded by the southern California mega-cities of Los Angeles, San Diego and the “Inland Empire” of Riverside County, the more than 37,000-acre San Mateo Canyon Wilderness is located in the Santa Ana Mountains and Cleveland National Forest. Its primary feature is the rugged canyon of San Mateo Creek, which flows from the crest of the Santa Ana Mountains to the Pacific Ocean. The creek is the southern-most stream supporting the endangered southern steelhead in California. Its oak and sycamore woodlands, coastal chaparral, and meadows supports a diversity of wildlife. 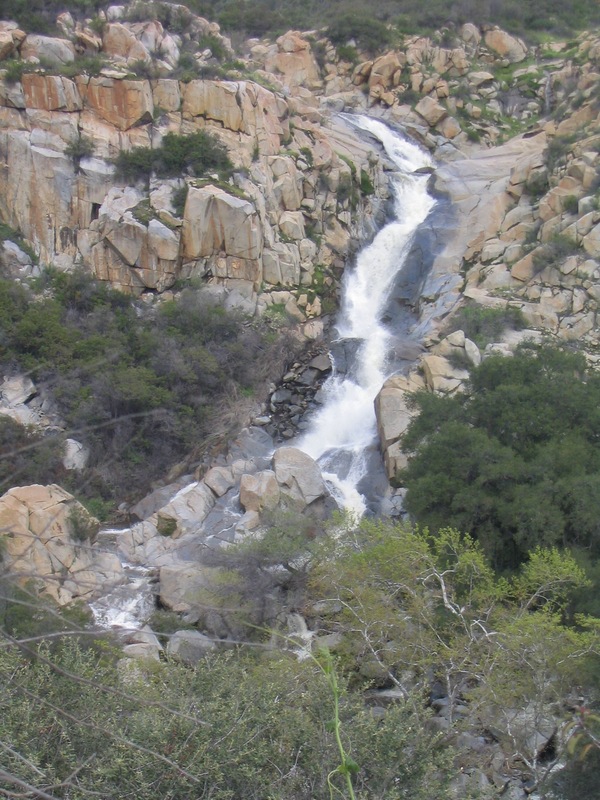 The wilderness receives relatively few visitors, except for the Tenaja Falls Trail in the spring. A short hike half-mile walk on the Tenaja Falls Trail will take you from the trailhead to scenic Tenaja Falls. The falls can be roaring during the winter and spring, or just trickling in the summer and fall. Visitors who may wish to explore more of this little visited wilderness can proceed upstream or downstream from the falls on the Tenaja and San Mateo Canyon Trails (respectively) through groves of live oaks and sycamores and rich swaths of coastal chaparral. Avoid poison oak. The best time to visit is in the winter or spring. As the trail crosses San Mateo Creek to reach the falls, visitors should avoid crossing the creek during high flows. Trailhead Directions: From I-15 in the community of Wildomar, take the Clinton Keith Road exit and proceed southwest five miles on Clinton Keith Road and then veer right on Tenaja Road. About 4-5 miles further, turn right on Forest Road 7S04 (which may be called Rancho California or Wildomar Road at this point, but there should be sign for the Cleveland Forest). Proceed another 5 miles past the Tenaja and Fisherman’s Camps Trailheads to the Tenaja Falls Trailhead on the left. For the most recent road and trail conditions, contact the Forest Service’s Trabuco Ranger District at (951) 736-1811.